Killer sentence after killer sentence, given and repeated and twisted, Mirov piles words that dance a fine line of reality and jawbreaking out-thereness, WE NEVER KNOW WHERE WE ARE AND THAT IS GOOD, spilling out of this beautifully complex machine. 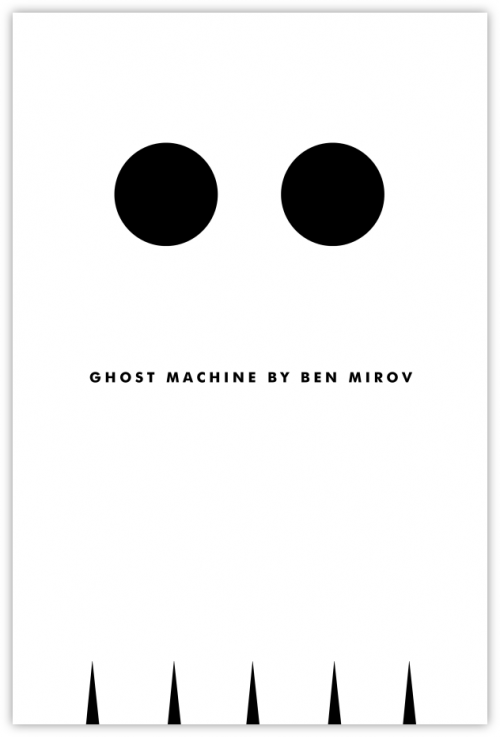 Caketrain has a sweet deal where you can get any two single-author books, including Ghost Machine, for twelve bucks with free shipping. DANG. A good full review of Ghost Machine at Bookslut.